The Old Mission Peninsula is perhaps Michigan's most unique and scenic township. Unlike the typical six mile by six mile square township, the Old Mission Peninsula is finger-like in shape, projecting approximately 16 miles into Grand Traverse Bay. 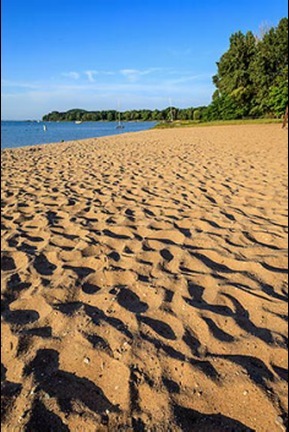 The township varies from one to three miles in width and contains approximately 42 miles of Great Lakes shoreline. The 2017 U.S. Census lists a population of 5773. Request For Bid - Building Demolition 4025 Swaney Road Click HERE to view the RFB. Bids due by 4:00 PM, Thursday, May 2, 2019. Direct questions to: Jennifer Hodges, P.E., Gourdie-Fraser, Inc., 231-946-5874. Grand Traverse County Road Commission construction - Bowers Harbor Road, Island View Road, and East Shore Road. Click HERE for more details. ​Click HERE to view the ​Grand Traverse County Road Commission 2019 project list. Click HERE to view notice of a preconstruction meeting for the GTCRC’s 2019 HMA paving contract. Click HERE to view the Grand Traverse County Recycle Smart 2019 dates. Check your smoke detectors monthly by simply pressing the test button. March 10th is daylight savings be sure to change the batteries in your smoke detectors. ​Peninsula Township is currently working with McKenna Associates, a professional planning firm, to re-write the Zoning Ordinance. Click HERE for more information. Stream Spot - Peninsula Township's video feed does not have an audio feed at this time. We are working to repair this. Sorry for any inconvenience.